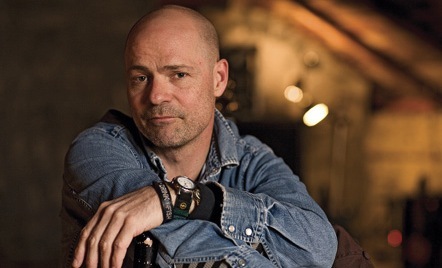 Today I learned that Gord Downie, frontman of the Canadian band the Tragically Hip, has been diagnosed with terminal brain cancer. Also, the most Canadian thing, ever. 2015/2016 has been, and clearly, continues to be, a banner year for the Reaper. As many have pointed out, this is little more than a product of statistics – so many of the celebrities, musicians, actors and artists we idolise are, as with the rest of the boomers/x’ers, getting up to their dying days. A few of the bigger name deaths, Bowie’s in particular, hit me harder than I had anticipated – I’m not really one to go whole-hog on celebrity veneration; more often than not I oppose it on principle – but none is quite so close to home as this one. I’m no rabid fan of the Hip, I don’t have an exhaustive collection of their albums, I’ve not even seen them live, but they still feel like a piece of my life, in a way that Chris Squire, Lemmy, or Robin Williams, do not. I grew up listening to the Edge, a local radio station out of Toronto, when it was still playing properly alternative music. The Hip were on heavy rotation. I didn’t really need to own every album (though I’ve a fair few), as I was hearing them multiple times a week already. More than that, though, they are of a generation with my parents – my Dad has stories of him and his friends seeing them, before they had made it, playing the college bars in Kingston in the 80’s. So, there’s a direct connection there that would be impossible with some foreign megastar. Just one of those things in the background, one you’d thought would always be around. And maybe that’s part of it, too – the Hip, and Downie, have become cornerstones of Canadiana over the last three decades. Losing them feels like losing a part of that cultural identity. They embody some of the best elements of modern-day Canadian culture – irreverent, honest, straightforward without being simple, articulate. They’re not just a quality rock group – they, more than anyone other than Gordon Lightfoot, maybe, have made their work about the geography, the history, the people of Canada. I recall interviews with Downie, listened to late at night in the dark of my room, radio turned down low, where he would describe those early days, the college bar days – they’d headed out on tour, out west, somewhere on the Prairies, and just totally blew the crowds out of the water. These, of course, were the days of synth pop, of new wave groups like Martha and the Muffins and the Spoons in Canada, all glossy, heavily stylised and heavily produced, and here come the Hip, with their long hair, their denim, their aggression – couldn’t have been more out of fashion – the locals didn’t know what to make of it. And yet, they’re the ones who’ve stood the test of time. Later, it must have been in the early oughties, with their success cemented, they were safe, they had laurels to rest on – I remember an interview with Downie where he was asked to do some anti-drug PSA or something to that effect. He just looked askance at the camera, raised an eyebrow and said “Me, tell kids not do drugs? Yeah right!” Every reason to play it safe, to toss them a platitude, but he couldn’t be other than himself. Canadians, as a general rule, don’t really approve of stardom, and gross success sits uneasy with us. Fitting the stereotype of the self-deprecating nice guys, we’re much more likely to belittle our celebrities, paring them down to size, certainly more out of embarrassment than any sort of jealousy. The Hip, mainstays on the scene now for my whole life, never took on the airs of entitlement – too busy being their weird, idiosyncratic selves. They get a pass, they’re ours, they’re us. It’s difficult to quantify and explain the effect that art, music, that these things have on people. It’s a rare individual who makes no connection with music, that doesn’t begin to associate periods of their lives or things of importance with art works. As we’ve experienced recently, and will no doubt continue to, sorting out our feelings in the wake of treasured artists’ passing becomes all the more complicated when they are themselves less-than-stellar exemplars of humanity. How do you face up to the way you feel, the investment you have, in someone’s work and their absence, when you know they’ve done terrible things? No one is perfect, and it is unfortunate that many are further to the other end of the spectrum than could be hoped. This won’t be one of those instances. A genuinely good person, a campaigner for the environment, for the Indigenous, is dying – and our country will be the worse for it. Downie’s not done yet, though, and the band is still going – they’ve just announced a tour, and I’m going to see about correcting errors of omission. I recommend you do the same while we still can.